The logistics function for NCA is a critical piece of the overall supply chain function required to move agricultural products from farm to end user. While this has more recently become increasingly difficult following the consolidation of shipping lines and the increased import and export volumes moving through the ports, NCA has been able to adapt to these variables and tailor them to the cyclical nature of agricultural production. Presently NCA is using a combination of road and rail to meet the freight task required to move up to 397,000mt of product by container annually, which is made up of Cotton Lint, Cotton Seed and Grain. This is the equivalent of 24,800 x 20 ft containers annually. Utilising rail services out of Wee Waa, Trangie and Warren and road deliveries direct to port out of the Goondiwindi warehouse. NCA has positioned itself with a strong base to ensure the products reach their destinations on time and within high quality parameters. 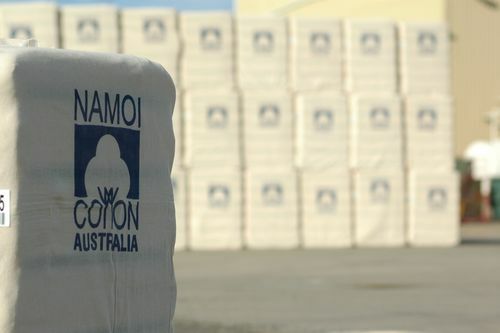 The logistics function also involves the transport of up to 700,000 bales from Namoi Cotton third party gins to warehouses. The majority of these bales moving through one of the 3 NCA warehouses located at Goondiwindi, Wee Waa and Warren with a small percentage going through third party warehouses, mainly from gins in the Murrumbidgee region. Through, NCA’s Export Sales division NCA becomes responsible for delivering cotton lint to end users. This requires the contracting of ocean freight and management of the delivery to the destination port and onto the buyer. Empty containers are moved to our warehouses and packing sites, packed for delivery and delivered direct to the vessel at loading ports, located in Brisbane, Sydney and Melbourne. NCA manages the export documentation relating to these shipments and can provide the original bills of lading from our Toowoomba office. This reduces time in presenting documents to the bank and providing original documents to our valued customers. NCA deal with up to six shipping lines in any one season and are committed to just in time delivery to final destination, strong customer service values and efficient management of shipments which creates value for our product in the global market place.